EVERYONE HAS KNOWN ONE— that aggravating house guest who just doesn’t know when to go home. The sidesplitting play The Nerd takes this concept to new heights. The Little Theatre of Savannah will present The Nerd Nov. 16-24, and director Grace Diaz Tootle is certain audiences are going to love it. The Nerd was first presented by the Milwaukee Repertory Theatre, then produced in England, and finally taken to Broadway. Shue, who died at the age of 39 in a plane crash, is best known for The Nerd and another comedy, The Foreigner. One of Willum’s favorite topics is the story of Rick Steadman, the man who saved his life after he was wounded in the Gulf War. He never actually met the man, but praises him highly. There are other complications in Willum’s life. One is that his girlfriend, Tansy McGinnis, is about to leave town to become a weather girl in Washington. “He lacks the gumption to do something about it,” Tootle says. Willum’s best friend is Axel Hammond, his polar opposite, personality-wise. “He is a classic curmudgeon, extremely sarcastic,” Tootle says. The Waldgraves bring their son, Thor, with them. “He’s a brat,” Tootle says. Poor Willum must deal not only with his guests but the newcomer who shows up at his door after the guests have arrived. “He’s trying to impress his boss and in comes the nerd,” Tootle says. 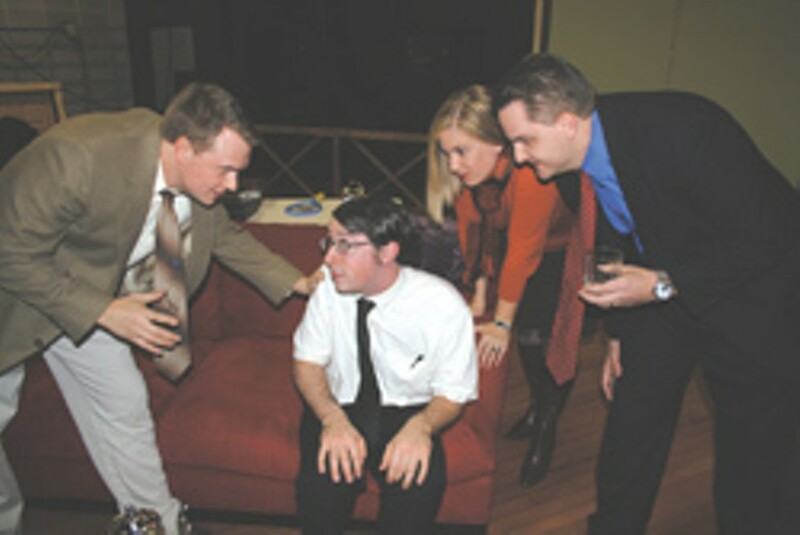 The Nerd is the season opener for the Little Theatre of Savannah, which has a long but erratic history. “The Little Theatre of Savannah may be the oldest community theater in Savannah,” Tootle says. Other theater companies in Savannah came forward to help make The Nerd a reality. D.J. Queenan, director of the city’s Cultural Arts Theatre, arranged for the cast to rehearse at S.P.A.C.E., the city’s arts space. Kelie Miley, director of the Savannah Children’s Theatre, also let the cast rehearse at her space on Victory Drive. And Ryan and Sasha McCurdy offered space at their theater, the Savannah Actor’s Theatre, for The Nerd’s performance dates. Members of the cast in order of appearance are Justin Kent as Willum Cubbert, Samantha Glaudel-Smith as Tansy McGinnis, Eric Smith as Axel Hammond, Harold Glover as Warnock “Ticky” Waldgrove, Lynita Spivey as Clelia Waldgrove, Wyatt Tootle as Thor Waldgrove and Chris Heady as Rick Steadman, the nerd. The biggest challenge in directing the show has been the pacing. “Comedy is difficult to direct, even when you have funny people,” Tootle says. Everyone in the cast is so busy, it was difficult to set rehearsal times. “I’m a single mother of four who works odd hours while trying to be there to shepherd my children to their different activities,” Tootle says. The cast members all work and some go to school. “If it weren’t for the commitment of the cast and their commitment to making it be as good as I want it to be, I don’t know whether it would have worked out,” Tootle says. “But it worked out beautifully. 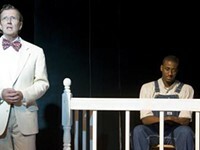 The play is family friendly with no inappropriate contest. However, Tootle warns, one character does use a profanity (God d—n) at times. “It might be offensive to some,” she says. Other than that, The Nerd is a comedy to be thankful for. It opens the day after Thanksgiving, and Tootle hopes folks bring their holiday guests to the theater. 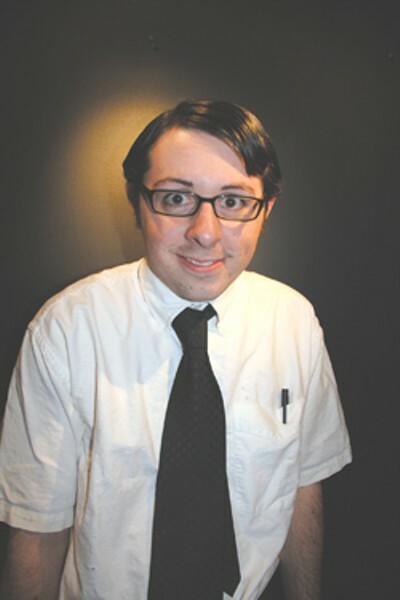 Heady was recommended for the role of Rick, the nerd, by a friend. “To get into character, I’ve been looking at different nerds throughout history,” he says. Heady is a student at the Savannah College of Art and Design and also busses tables at Lady & Sons. “They’ve been really good and supportive about the whole thing,” he says. Willum is “a milquetoast kind of guy,” Kent says. “He doesn’t stand up for himself. People take advantage of him because of that, but he kind of overcomes it during the course of the play. Under Tootle’s direction, the show is turning out just fine, Kent says. “Grace is one of the best directors I’ve ever worked with,” he says. “She has a great sense of comedic timing. Kent lived in Indiana, and went to college in Terre Haute. “I was heavily involved in community theater there and toured with an improvisational group,” he says.